We recently got the chance to try out Time4Learning for our homeschool lessons for an entire month! I have read a lot about Time4Learning and have seen lots of reviews on it over the past few months. It seems that lots of families are using Time4Learning for their homeschool, after school, and summertime supplement lessons, and we were excited to see what all the fuss was about! We have been homeschooling since August, and, while that isn't very long at all, it is long enough for me to realize that books and paperwork and worksheets alone is not the way to go for my boys. They really love working on the computer, it gives them a change of pace and a different perspective, and it is a good skill for them to learn. Signing up for Time4Learning was super easy, and took no time at all! Above is a look at what the dashboard looks like. There are five different categories: Language Arts, Language Arts Extensions, Math, Science and Social Studies. 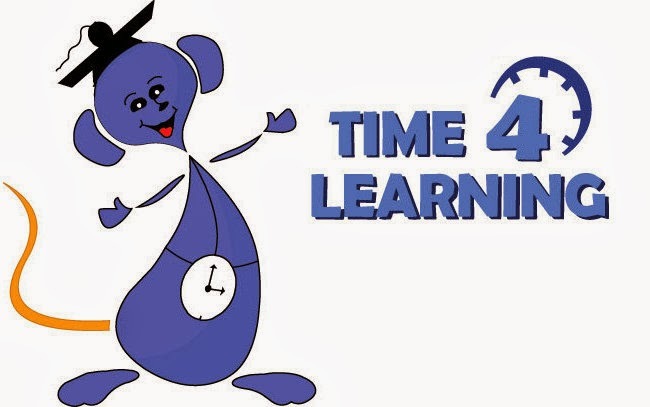 Time4Learning also has a great parent's section, where parents can check out the lessons before they are assigned, determine which lessons kids should do on which days, and generate reports about your child's progress! The lessons themselves are quick, fun, and focused! My second grader has really gotten into the lessons, and many of the characters are "regulars", so he likes that he gets to see them every day. The lessons are really fun, with videos and songs and games, it really doesn't feel like you are "doing school" when you are working with Time4Learning. Kids can work at their own pace, and do the work as fast or as slow as they want. Parents can use the lesson planner to decide how many lessons to do each day or each week! The price is also right for Time4Learning! At only $19.95 a month, it is a great deal, and much cheaper than many other online curriculum! I really do feel like you get your money's worth with this program, which is important. 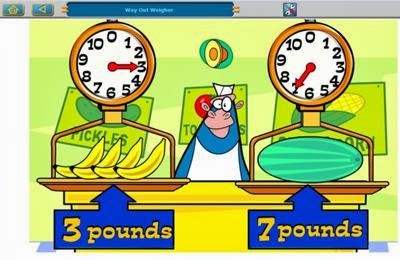 I really liked Time4Learning,and we decided to continue paying for the curriculum after our free trial ended. It's a great addition to our homeschool routine! I know that many parents use T4L as their sole curriculum, and that is cool, too. I do feel like I need to supplement, but I think I would feel the need to supplement with any curriculum that we do. I don't like relying solely on one kind of learning, online learning, or workbooks, or videos, or textbooks.. I like a variety, and for us, T4L has proven to be the perfect variety! If you would like to check out Time4Learning, their website is HERE! We're sure that you will love it just as much as we have! Congrats on joining the Homeschooling Club! We are also T4L'ers, but like you, we also like to add a lil of this a lil of that ;) Now, we do consider T4L our Core, but we are also doing Story of the World books, S4U ( http://www.science4us.com/index.php ), pintable's I find online, etc. So, what else do you add to your T4L?